Saildrone, an Alameda, CA-based company, is changing all that. 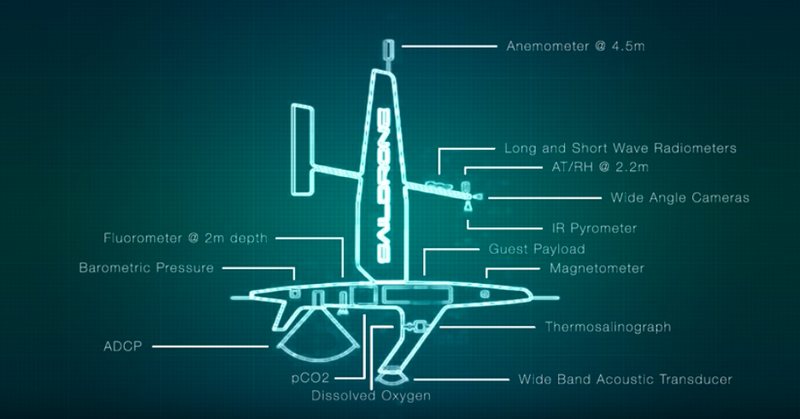 Saildrone manufactures and operates a fleet of fully-autonomous, ocean-going drones that collect a treasure trove of data from oceans all around the world, providing a real-time stream of data. Onboard sensors measure dozens of meteorological and oceanographic characteristics, including wind speed and direction, air temperature, pressure and humidity, sea temperature and salinity. They can map the seafloor of coastal regions, survey entire fish populations or track marine predators, such seals and sharks. Lux Capital invested in the company’s Series A and is proud to continue to support the company as an investor in its $60 million Series B, which the company is announcing today. The impact of collecting and interpreting all this new data will be as deep and impactful as the ocean, itself. Scientists are using it to improve their understanding of planetary systems, including environmental health and marine life determine real-time and evolving environmental health; governments could track the impacts of offshore drilling; fishing companies could move towards more sustainable management of their target fish stocks. Any attempt to explore and measure the sea at this level of detail using only previous technology would be laborious and expensive. Until now, if you wanted to study the ocean you only had a few options: You could launch satellites into space, which would provide scarce data access and wouldn’t penetrate the ocean surface; deploy stationary buoy networks, which are difficult to maintain and remain in a fixed location; or use vessels that are expensive and have limitations like only operating in waters deeper than 20 meters. In comparison, Saildrone offers cost-efficient, in-situ data. Saildrone users can receive real-time data streamed directly to their computer or mobile phone. These Saildrones are impressive 23-foot-tall vehicles that navigate using GPS guidance at an average 3 to 5 knots using only wind-power. They are powerful, too: They can withstand some of the harshest ocean conditions while carrying more than 250 lbs of sensor payload. Customers can log on via any smartphone or computer to see visualizations and manipulations of live data. More than 20 sensors provide real-time air, water, and surface measurements, including precise positioning, optical imaging, dissolved oxygen, carbon dioxide, methane, salinity, fluorescence, water temperature, ocean surface temperature, ocean surface current, dissolved organic matter, magnetic field, barometer, air humidity, air temperature, wind, sonar/acoustic system for examining fish biomass and bathymetry, and others. The entire sensor package is solar-powered, and can operate non-stop for more than six months at sea. Saildrones have already covered more than 200,000 nautical miles in the Arctic, Pacific and Atlantic, as well as the Gulf of Mexico and Southern Ocean. They have captured insights for ocean researchers at agencies like NOAA and NASA, and for commercial customers. Several academic papers have already been published with Saildrone data. Saildrone is unlocking proprietary data at a global scale, which will result in tremendous gains for industry. 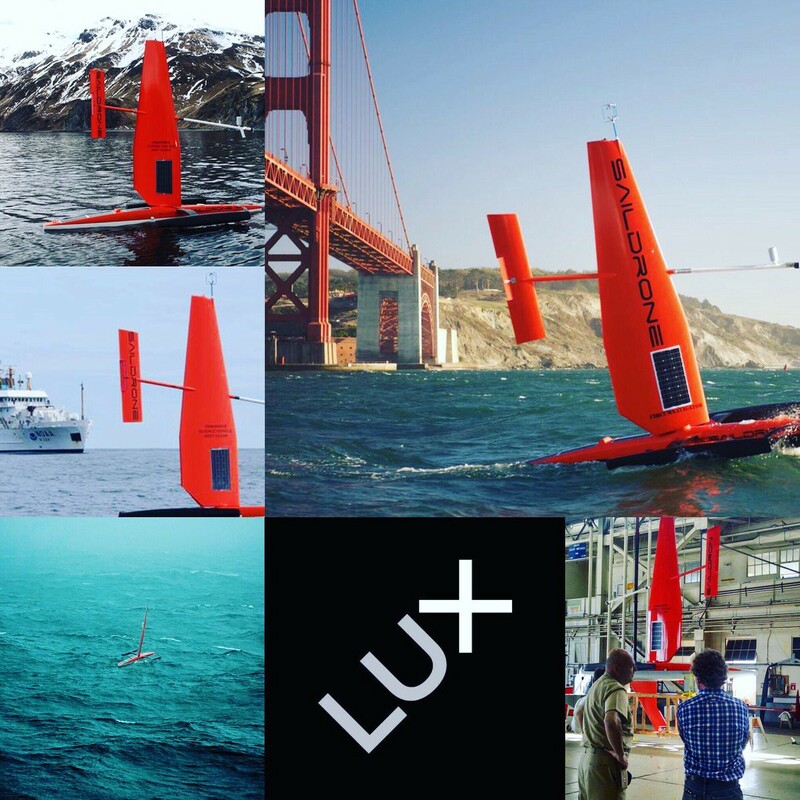 As the network of Saildrones grows, the power of the data grows exponentially. “The data gathered by saildrones will not only change the understanding of our oceans but will also bring insight into issues such as climate change, ocean acidification, fish populations and weather — and every person on this planet will be affected by these processes,” wrote Savaram Ravindra in Maritime Executive earlier this year. The company’s data will now be accessible and useful for new customers that previously never thought about using ocean data in their operations. When Saildrone can connect all of its data points, it will be able to help predict natural disasters, provide real-time weather conditions on the ocean, and help improve maritime safety. Saildrone is located on the former Naval Air sStation in Alameda, California. The company is recruiting talent in software engineering, machine learning and data analytics, electronics, manufacturing, product management, business development, marketing and more. See listings here. Saildrone also runs an annual competition for innovative scientific projects using their platform by offering $1M worth of data every year. You can find more details here.